In high school budgeting was of no concern to me. I had a part-time job, no bills, and I had a lot of expensive hobbies, so, needless to say, I spent my money frivolously. If I saw something I wanted, I bought it. It was that simple. Once I met my wife-to-be, that all changed. She convinced me that budgeting was a necessary tool that needed to be utilized, regardless of income bracket, expenses, and employment. Without it, you don’t know what your money is doing, where it’s going, or even if your making more than your spending. It’s chaotic. When you don’t know what your money is doing, you are at risk of losing it. For example, you could be overcharged for an item/meal and you wouldn’t even know it – $40 is only one zero away from $400. Or you could have signed up for an annual membership you don’t use anymore, but never cancelled. Mistakes happen and they can cost you if you’re not vigilant. Not only that, but small purchases can add up quickly. If you buy a $5 coffee every day, that turns into a $35 weekly expense very. After a three weeks of that, you may look in your bank account and be shocked that your missing $105 dollars. In short, when you don’t pay attention to your money, it may pull a Houdini on you. Credit card fraud is a very real threat in the 21st century. Fortunately, almost every bank offers fraud protection, which means they will not charge you for a transaction deemed fraudulent. However, that still requires you to report the transaction(s) by keeping records and paying attention to your accounts. Budgeting is convenient. It may not sound like it, since it adds more work onto your plate, but it is. It gives you the ability to see what your money is doing, how to save more and avoid unnecessary charges, and it helps reduce the stress of money. Before I started a budget, I didn’t see the point. I thought it wasn’t convenient, it wasn’t easy, and it wasn’t necessary, but boy was I wrong. It’s extremely easy. I finish my monthly budget within 5-10 minutes every month and entering each transaction only takes about 30 seconds while I leave the store, thanks to my smartphone. Budgeting is significantly easier than it sounds. 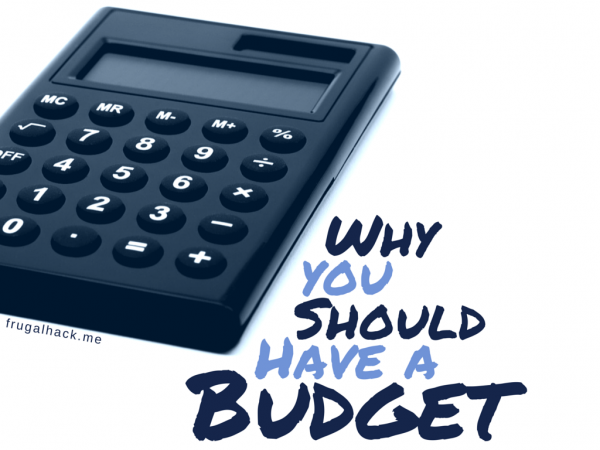 There are many ways to budget from spreadsheets to apps to pieces of paper, you have options. There isn’t a wrong way to do it, so one size doesn’t fit all in this situation. YNAB – I use this to track my manufactured spending transactions and my regular transactions. Google Drive – I use this to track my MS transactions. Mint.com – I use this to track my credit card and bank transactions. If you want to see how I use those to tools to budget my everyday expenses, check out this link. If you want to see how I use those tools to budget my manufactured spending expenses, check out this link. Do you use a budget? If so, what budgeting program do you use and why?